I am not sure how much more of this snow I can handle. Living here in the Philly Suburbs, we've been BOMBARDED with the white stuff. Hubby (who is a teacher) has been off the past 2 days - which is awesome. It's super fun to have him around. But it also throws off my schedule - which is why I am just getting around the posting. I'm hoping that after today, we can all get on with our lives and leave the snow behind us. Or Mother Nature and I are going to have a rumble. I'm not even kidding. 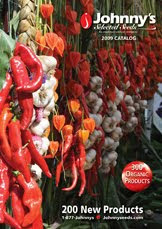 I am beyond excited to start my first REAL vegetable garden this year. You might remember that this was on my list, "Things Steph is Excited About in 2010. "Since we are looking to buy a house (have I mentioned that? If not, I'll share with you via post in the near future), I'm not sure if we will hold off or plant a garden where we are currently living. 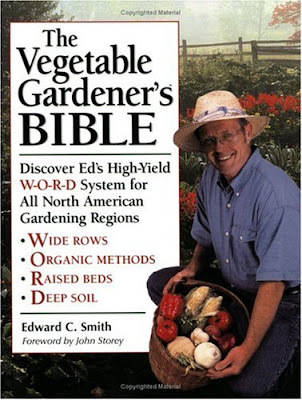 At the very least, I'll be ordering my seeds soon, asking for tons of help from my good friend Rob (who has an incredible green thumb), and enlisting Hubby's help to make raised beds (most likely using the Pioneer Woman's post on said subject, in conjunction with Edward C. Smith's chapter in the above-pictured book). 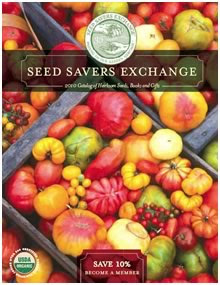 Will you be joining me on the adventure of planting your own garden? What will you be planting? Are you a gardening pro or a newbie like me? I am so jealous you are going to have a garden! Since we are in a townhouse we can only do pots on our deck. I grew up on a farm so having a vegetable garden was just a way of life. I live in a condo so I don't have a lot of room but I am looking into an herb garden. I don't have a green thumb so we will see how it works out! I would love to plan my garden with you! I was thinking about tomatoes, peppers, green beans, zucchini, carrots, lettuce, strawberries, basil, aaaaand I don't know what else. What comes before novice? Newborn? I am a gardening newborn.